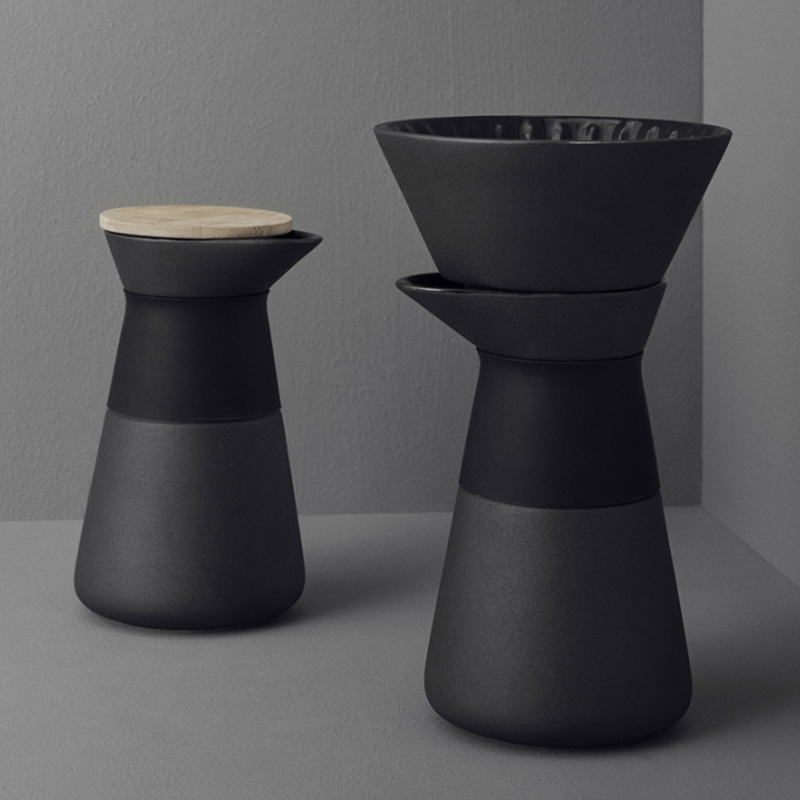 DesignApplause | theo coffee maker by francis cayouette for stelton. The award-winning Theo range has launched a coffee maker for all ”slow brew” filter coffee fans. With its beautiful contrasts, the Theo range has been designed to stimulate the senses. 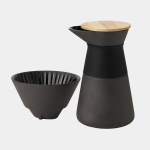 Made in matt black stoneware with a shiny glaze the Theo coffee maker is both rustic and elegant. The filter funnel only has three holes at the bottom, so the run-through time is naturally reduced. Enjoy a delicious, aromatic coffee every time with the Theo coffee maker. The Theo coffee maker holds 0.6 L, perfect for 1–2 people. The Theo coffee maker comes with a bamboo lid to keep warm. 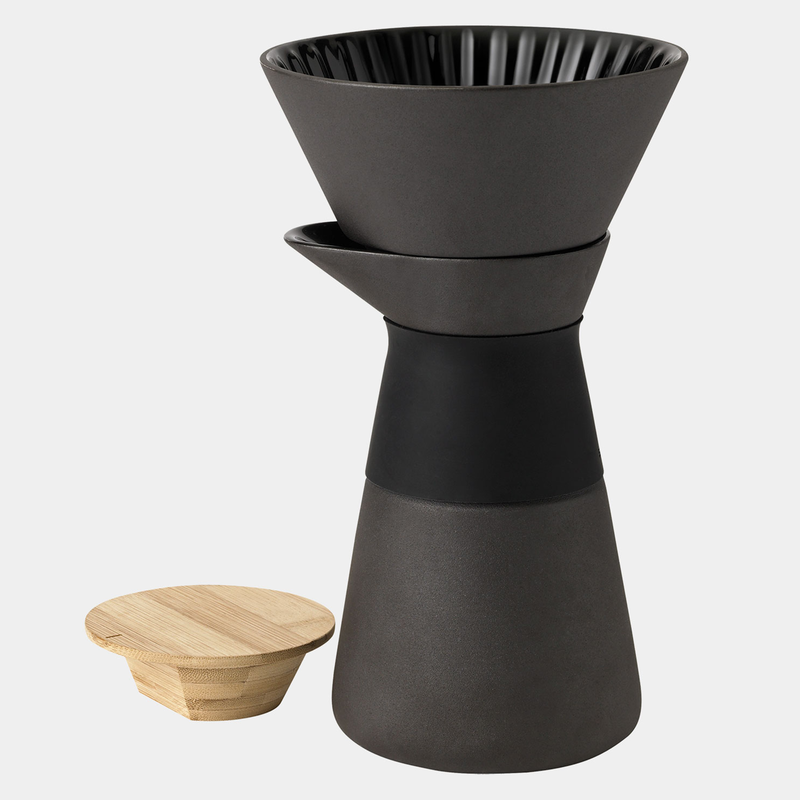 The coffee pot comes with a collar of heat insulating silicone, which provides a good grip and avoids burnt fingers. Take your time and enjoy a slow brew.